GReD studies and develops state-of-the-art solutions for the elaboration and analysis of gravimetric / gradiometric data. Within the collaboration between Politecnico di Milano and Eni, GReD has started activities on the frontier of geomatics R&D for Earth knowledge to enable innovative solutions for oil & gas industry. 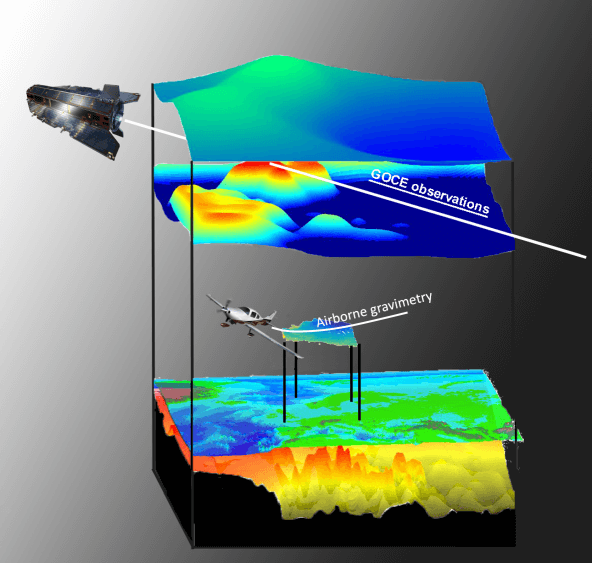 These research projects concern the development of methodologies and advanced techniques for the acquisition and processing of gravity data. GReD developed advanced innovative solutions that will allow to obtain higher accuracy airborne gravity observations, by combining the potential of modern satellite navigation systems to gravity data from the recent satellite missions of the European Space Agency (ESA) and NASA. The information on the obtained gravity anomalies will allow Eni to improve the knowledge on the structure of the lithosphere for exploration activities, especially in poorly studied and frontier areas. Moreover, GReD and Politecnico di Milano are studying and developing innovative solutions aimed to combine qualitative geological information with quantitative gravity data to obtain three-dimensional models of the structure over the Earth’s crust. This research will allow Eni to accelerate the pursuit of strategic objectives aimed at improving the description of crustal models at basin scale thereby resulting in a significant competitive advantage.